Edward and Amos have both completed The Last of Us. In this double review, Amos praises the game’s emotional storytelling, while Edward offers an alternative view on how the dreadful combat and stealth spoiled his experience. Over the years, I have consumed my fair share of zombie fiction and games. I enjoyed Valve’s Left For Dead due to the fact that it forced you to cooperate with others to survive the ruthless onslaught of zombies. Capcom’s Resident Evil series forced me to ration supplies, though the boss fights got a little ridiculous at times (Fighting Wesker in a volcano in RE5, for example). 28 Days Later rooted the zombie apocalypse in believability; a compelling tale of a devastated London populated by Rage-fuelled humans. And of course the original George A. Romero classic, Night of The Living Dead, the grand daddy of the zombie genre. 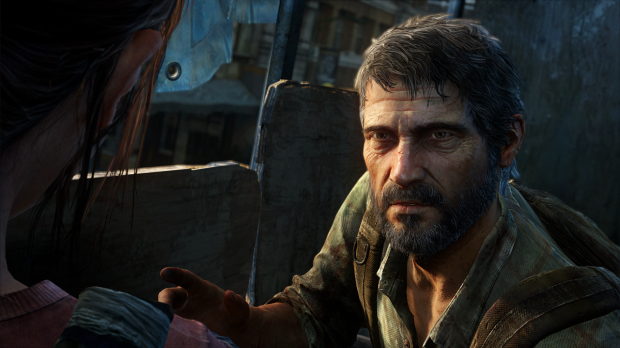 But Naughty Dog’s The Last of Us isn’t just a rehash of those properties. What it does however is it takes the best of the zombie stereotypes to create something absolutely refreshing. Blending game and narrative seamlessly, The Last of Us is outstanding due to its superior storytelling. And having spent a whopping 20 hours completing the game, I can attest to that fact. From the get go, The Last of Us reels you in. The game’s prologue of The Last of Us will probably be remembered as one of the best openings of any videogame to date. Right from the start, the game makes you invest emotionally in Joel, the main character of the game. Joel’s character is shaped by the fallout of the infection; making him a survivor who has been hardened by desperate times. The game constantly reminds you of the personal losses he has suffered, resulting in the gruff, intense and moody personality he displays in the game. Acting as his foil is Ellie, a precocious 14-year-old girl who accompanies Joel throughout the game. Born after the world went to pieces, she has lived her whole life within quarantine zones. Exploring a world she never had a chance to live in, her excellent characterisation allows you empathise with her excitement and curiosity. In contrast with the world weary Joel, she stares with wide eyed wonder at old movie posters, curiously pokes about ruined five-star hotels and questions why models in faded advertising starved themselves. Her fresh perspective makes you question the things we take for granted daily in today’s society. 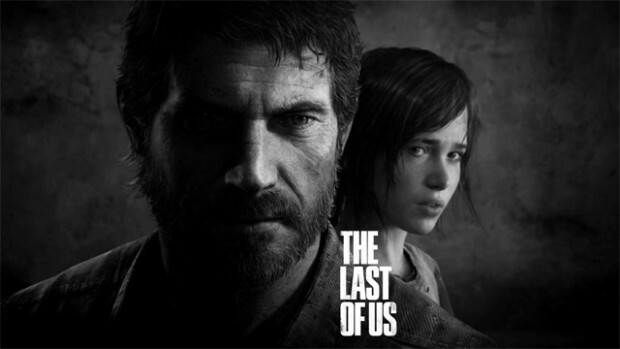 In addition to Naughty Dog’s amazing storytelling, you almost believe that you too are a part of this post apocalyptic world, with engaging dialogue between Joel, Ellie and the rest of the characters drawing you in even deeper. This believability is reinforced with the fact that Naughty Dog grounded the zombie infection in reality. Ophiocordyceps Unilateralis, a real-life fungus that infects insects, inspired the game. (See video here. Warning: Creepy and has bugs). The fungus forces it way out of the insects, blooming and spreading its spores to infect more insects. In The Last of Us, the fungus has made the jump to humans. Consumed by the fungal infection, the infected have fungi growing out of their twisted bodies. Driven to infect others, their very human screams underline the fact that they are aware of their infection, but can do nothing about it. But they are not the only threat you face. In The Last of Us’ desperate world, everyone is out to survive, including other humans who kill and scavenge from others. It is this very real possibility that enforces the sense of realism you encounter in the game. Of course, the beautiful rendered graphics add to the sense of immersion. Pushing the Cell engine to its limits, The Last of Us brings a post apocalyptic world to life. Be it a Pittsburgh that has been consumed by nature, or other survivors you encounter in game, the beautifully crafted world begs for you to explore and interact with it (explaining how I managed to spend 20 hours in the game). The soundtrack (or lack thereof at times) by Academy Award winning musician Gustavo Santaolalla offers a minimalist touch, adds to the intense atmosphere as you traverse across a land that nature has overrun. Santaolalla punctuates tense encounters with tight acoustic riffs, while allowing a melancholic cello to accompany the sight of a run down city. It’s a master class in soundtrack production. Naughty Dog also took much care with the little things and it shows. The world’s mythos is fleshed out with artefacts scattered throughout the game. Other small touches, like Joel’s body language and Ellie’s facial expressions make a world of difference. Reinforcing the devastation you face is the utter lack of resources in the game. As you scourge through countless number of drawers and cupboards, you will be left mostly disappointed. There are only a few ingredients you gather in the entire game: alcohol, bindings, blades,sugar, explosives, and rags. The same ingredients however are used to make multiple items and you are forced to decide how to best use your items: should you save up a blade and binding for opening any locked doors you might encounter, or should you use it to craft a shiv immediately to take out a deadly Clicker blocking your path? 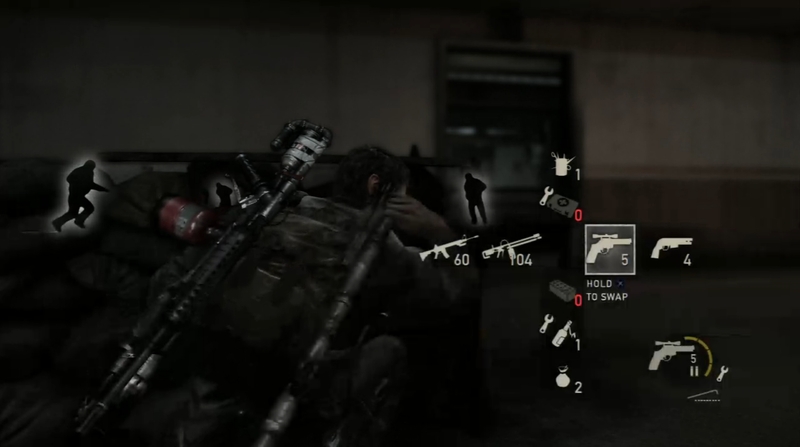 The Last of Us also offers up a decent amount of weapons for you to take on your enemies. From the deadly hunting bow to the zombie apocalypse mainstay, the shotgun, you have a wealth of choices available to eliminate your enemies. And though ammo is in short supply, I never did feel short of bullets. Perhaps its because I hoarded both my supplies and ammunition by choosing to deal with my enemies quietly. And with plenty of upturned shelves and corners to hide in, it almost seems as though if The Last of Us wants you to play it as a giant hide and seek game. You spend most of the time hiding from enemies, waiting for them to walk into a secluded corner before executing a stealth take down. Or you could toss a glass bottle to the other side of the room to draw them away instead of fighting them at all. This creates an unnerving amount of tension, and one of the game’s boss fights uses this to tremendous effect. However, there seems to be not much considerable difference between using stealth and going out all guns blazing (other than the chance of being shot at). Choosing either route has no effect on gameplay or the story, although setting aflame multiple infected with a flamethrower has always proven to be cathartic. There is also one annoying immersion breaking aspect of the game. When Ellie runs past enemies, they ignore her completely as if she wasn’t there. I understand why this was implemented; it makes it easier to sneak around without you wanting to smash your controller to bits, but when it happens, that illusion of being in The Last of Us’ world is completely shattered. Despite a couple of flaws, The Last of Us is an outstanding game. After finishing it, I couldn’t help but watch the credits roll in its entirety while appreciating each and every single person that contributed to The Last of Us. As the seventh generation of the videogame console cycle comes to an end, The Last of Us is a fitting swansong. One can only hope this will be the first of many such games to come. 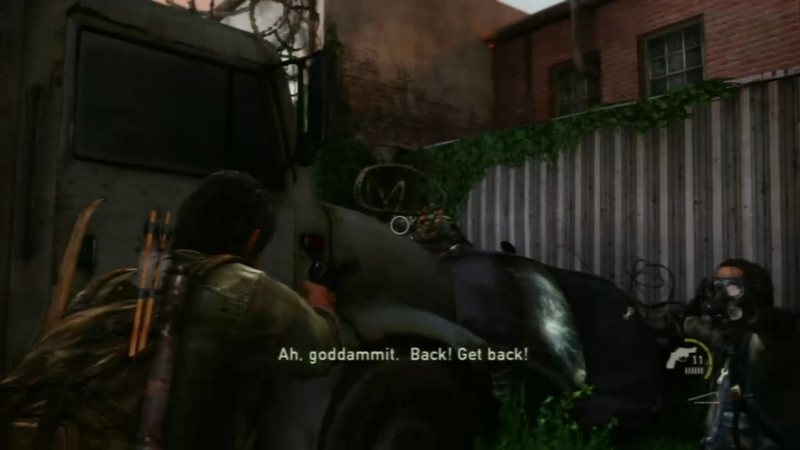 The Last of Us is a difficult game, and towards the final half, it becomes an un-fun stealth game. As explained by Amos, I am calling it a stealth game because of the scarcity of supplies. Bullets are a precious resource, forcing you to use stealth in order to take out most of your enemies — human or otherwise. If you have ever played the Splinter Cell or Thief games, the stealth mechanics should be quite familiar. Except that this time, there are zombies tossed into the mix. What made Splinter Cell fun to play was the wide array of gadgets and tools Sam Fisher had at his disposal: his silenced pistol, and his trademark SC30K rifle with its numerous alternate fire modes. Most of these items are available immediately from the start of the game, allowing you the freedom and creativity to choose how you wanted to deal with your enemies. There is always a backup plan available for Fisher: if you missed a shot and attracted an alarm, you could always retreat and hide in the darkness to wait for the threat level to subside. 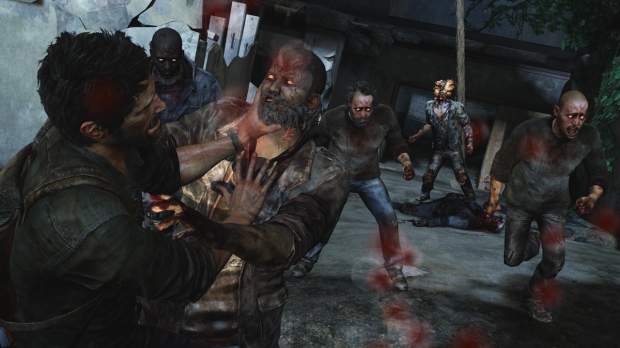 In The Last of Us, you either succeed in your stealth, or you fail and take lots of damage — and probably die. Your only option for stealth is to sneak up on your enemies and subdue them. The default chokehold stealth option, takes an agonising amount of time to complete, and it actually makes a lot of noise, leaving you highly exposed to a possible counterattack from other enemies. You can choose to use a shiv to kill your enemies silently — this is much faster than the chokehold. However, creating a shiv consumes your precious resources, and most players would choose to save their shivs for the deadly Clicker anyway. After about 5-6 hours into The Last of Us, you gain access to the bow, your only ranged stealth weapon. It serves its purpose well: a single headshot will kill any non-boss enemy instantly and silently. But arrows are hard to come by, and scoring a successful headshot is actually difficult due to Joel’s weapon sway and the arcing trajectory of the arrow. Combine this with the erratic movement of the zombies and Clickers, and the bow becomes another hit-or-miss weapon. You either succeed or you die. You either successfully land a headshot, or you miss, and attract attention — most likely resulting in your death. And be prepared to die a lot in The Last of Us. I have played Demon’s Souls before, and what made that game endearing was that every death in the game was avoidable or correctable. You either died because you misread an enemy’s attack, or you accidentally triggered a trap that you failed to spot. Every death forced you to learn from your mistakes, and eventually made you a better and smarter player. In The Last of Us, I learn absolutely nothing from my deaths, because there is no other alternative available. If I choose to forego stealth and start with guns blazing, the odds and game mechanics will be heavily stacked against me. There is no regenerating health unlike Uncharted, and healing consumes precious resources. One aspect of the stealth that I really enjoyed, were the stealth sequences in rooms filled with Clickers. You do not need to directly take cover against a Clicker, because they are blind. But because of their unpredictable movement and strong hearing, it creates a great sense of tension as you are forced to move slowly while avoiding their paths. I had fun because I was actually learning something for once: how to move silently, and how to use the environment to create audio distractions. And if I had to resort to it, I could use a shiv to get rid of a Clicker permanently. Unfortunately, towards the endgame, the role of Clickers are switched from tension builders to cheap instant-death dealers. 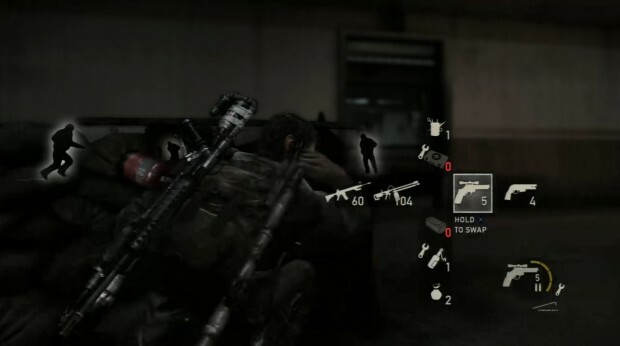 There are a few set pieces in The Last of Us where the game deliberately forces you to battle hordes of incoming enemies. With Clickers. It is already difficult enough to score hits on swaying zombies with your precious bullets, and now you want to throw Clickers into the mix as well? These sequences really tested my patience, and whatever fun I had enjoyed in the first few hours of the game was completely eroded by then. The Last of Us has great storytelling and characters. You can very clearly see the amount of heart that Naughty Dog has invested into telling an emotional, filmic story that would rival Hollywood. But along the way, they completely lost sight of how to make their game fun and enjoyable. 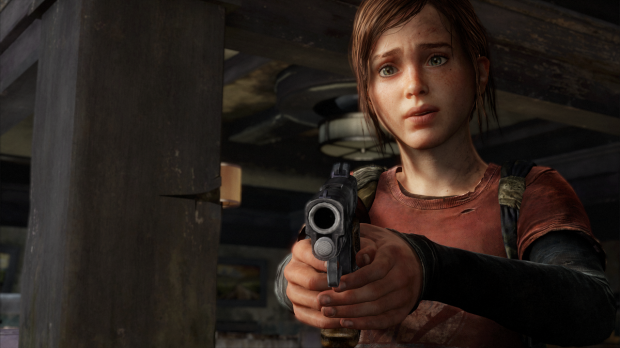 The Last of Us is a PS3 exclusive. It is currently retailing for a recommended retail price of $69. Both authors bought the game on release day and played it to completion for this review. Screenshots for Amos’s portion of his review taken from Naughty Dog’s official The Last of Us webpage.